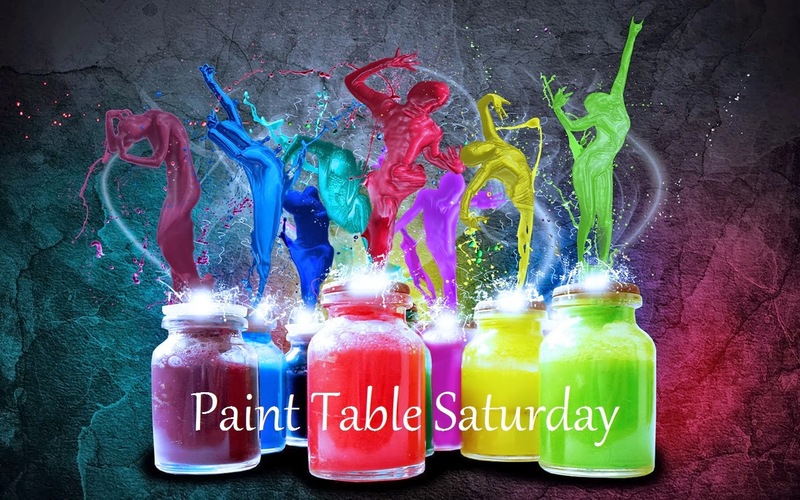 This clearly should have been posted yesterday but I was distracted (in no particular order) by cooking, football, my cat and the television, none of which merits further explanation so on with the post! Now I've finished a couple of commissions I've managed to find a little Me Time before I dive back in. 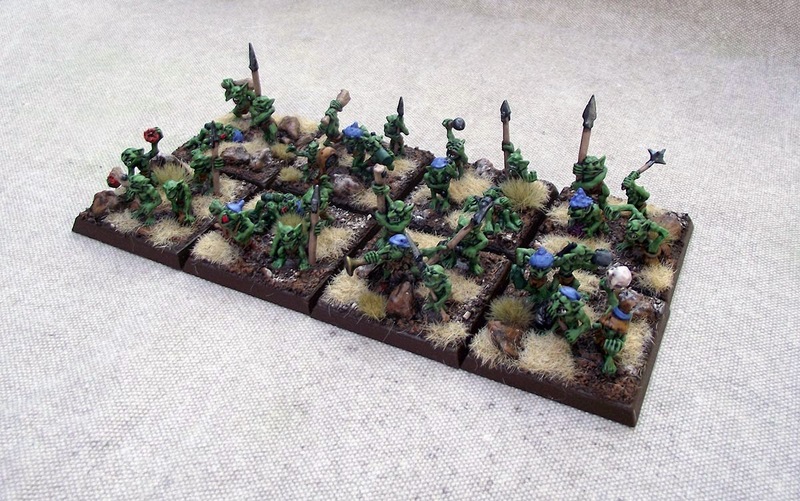 That allowed me to finish off a unit of Snotlings for my Savage Orcs & Goblins army for Warhammer Fantasy. These were dead easy to paint and reducing the numbers to 3-4 miniatures per base allowed me to squeeze in a more rugged look to the terrain and also extend the unit to 8 bases. 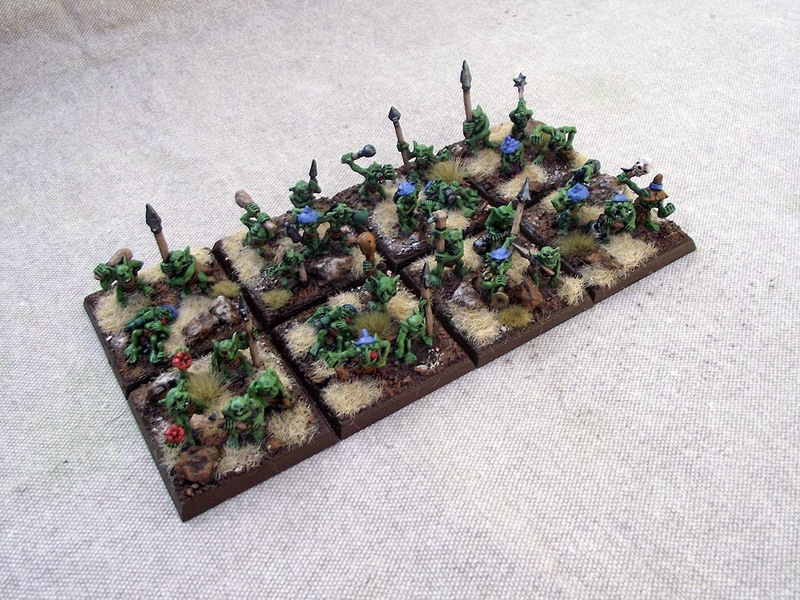 I've got a bunch more stuff in the post at the moment and 14 old-school forest gobbo spider riders giving me the glad eye so expect some more stuff in the not too distant future! So, you have your very own speed bump for WHFB now! I cannot emphasise the importance of these little guys strongly enough - I can vouch for the ability of a good swarm to stop the hardest cavalry in its tracks, having stymied a Chaos Knight charge with a couple of bases of creepy-crawlies many moons ago! Ah, happy days...! Fantastic brush work Millsy! I really love 'em. I love these guys! 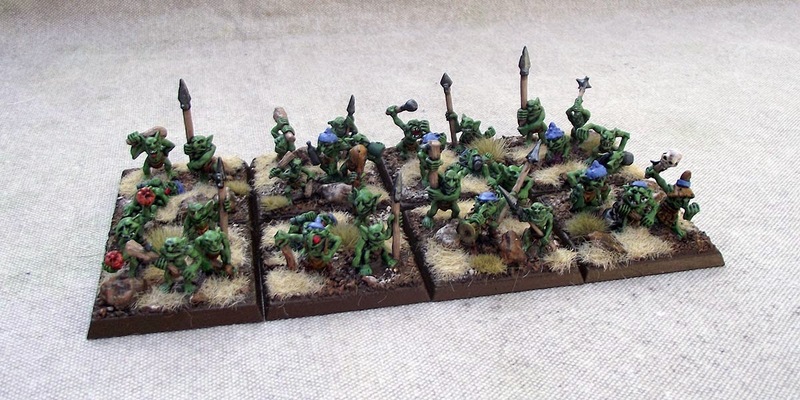 They look especially great mobbed up on the larger bases. What a fabulous looking bunch!